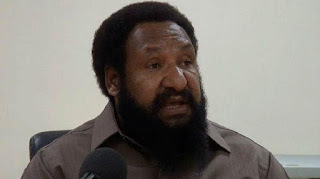 Opposition Leader and Kandep MP, Don Polye has passed his condolences to the family of the late Governor-General, Sir Michael Ogio. Government House confirmed the passing of Governor-General Sir Michael Ogio late on Saturday afternoon in an official statement. The statement said Sir Michael passed away at his State house residents at about 4.30pm. “It saddens me, that late Sir Michael Ogio passed away while in the office. The late Sir Michael Ogio is the second Governor General to die in office. PNG has lost a humble and a dedicated Governor-General who has quietly served the country. “Our thoughts and prayers are with the immediate family members at this difficult times. May they find comfort and solace in God,” said Polye. Polye thanked the late GG for his contribution towards developing the country as a politician and later as a Governor General. He however regretted that late Sir Michael Ogio died just few days short of seeing the new GG elect into office. Sir Michael Ogio was the 9th Governor-General of Papua New Guinea and would end his term at the end of this month when he passed away. Governor-General –elect, Bob Dadae who will take over will be the country’s 10th Governor General.